September starts with a bang thanks to Labor Day, but that’s not the only great day on which small businesses can host promotional giveaways. The ninth month of the year features a host of great holidays that can be used for marketing purposes. Many of the following celebrations aren’t particularly well-known, but that could actually be an advantage for many entrepreneurs. By hosting unique events, company leaders can ensure that their promotions stand out from those held by their competitors. As a result, owners will be able to boost sales and attract customers to their establishments. Read on for a look at three days in September that would be great for giveaways. It’s hard to stay cheerful nowadays. There are countless reasons to be unhappy and many consumers feel blue more often than not. This attitude obviously isn’t good as it prevents people from enjoying themselves and the world around them. Fortunately, September features a holiday designed specifically to give everyone a bright disposition. According to Holiday Insights, September 13 is Positive Thinking Day, which is dedicated toward ensuring that everyone has a good attitude. Small business owners can recognize this occasion by distributing fun promotional items that will lift customers’ spirits. For instance, many patrons would appreciate small chocolate treats on this day. Alternatively, an entrepreneur can hold a contest inside his or her establishment. A sweepstakes is a great way to bring a smile to clients’ faces so they won’t be able to help but have some fun on Positive Thinking Day. Hopefully customers’ will feel cheerful after winning some fabulous prizes. Though tales of the seven seas might not be as popular as they once were, many people still dream of what life would be like as a pirate. For some consumers, the thought of sailing the high seas and searching for buried treasure is highly appealing. For people who can’t stop thinking of living out their pirate dreams, September has the perfect holiday. Time and Date explains that September 19 is International Talk Like a Pirate Day, on which everyone around the world is encouraged to speak as if they’re the captains of their own ships. There are a number of creative strategies small business owners can use to capitalize on this fun holiday. Perhaps the simplest way is to emblazon a Jolly Roger on promotional marketing products. Further, entrepreneurs can use the symbols that famous pirates like Edward “Blackbeard” Teach and John “Calico Jack” Rackham had printed on their flags. Another idea is to require every customer to talk like a pirate in order to receive promotional items. This strategy ensures that every client will have to celebrate the spirit of the holiday. The final great September day for giveaways isn’t a holiday, but is still an important annual tradition. 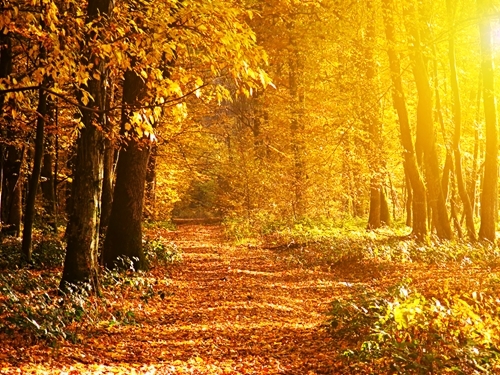 The autumnal equinox signals the arrival of fall and occurs on September 22 this year, according to EarthSky. However, this is also the spring equinox for everyone living south of the equator. Celebrating the first day of fall can be a bit difficult as it’s not actually a holiday, but that doesn’t mean that small business owners can’t capitalize on the day. The simplest way to hold a celebration for the autumnal equinox is by using fall colors on promotional items. Promotional pens, key chains and other products can be decorated with the same colors that the leaves turn to later in the season. This will get customers excited for the coming months so they can enjoy the breathtaking scenery as the weeks go by.